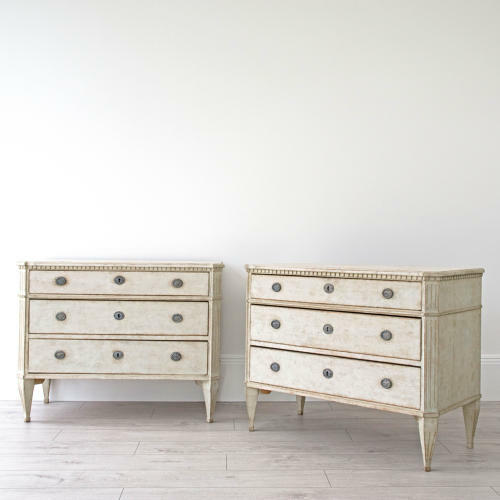 A pair of very fine late 19th century Gustavian style chests featuring faux painted marble tops with dentil frieze, canted & fluted corners, square tapered & fluted feet, and gorgeous patina. Would make handsome bedsides cabinets with useful additional storage. Swedish circa 1880. Restored.